I know the lag your talking about, i hate it! I can be 2 to 3 car lengths behind someone when i ram them going into a corner. Its hard not to when you dont know how close you really are to another racer because of the lag. Which is why i have not been getting so pissed when someone rams me going into a corner. Some racers i can get right up to their bumper and some i have to stay 3 lengths behind so i dont crash them. So why wouldnt you race with Sunny and myself last night Jeff? You kept popping in our lobby. I was looking for another player that I was trying to continue a chat with from another room, where the host had disconnected. To deal with the lag in turns, I try to go inside when I'm passing, and if I see a faster player behind me, I brake a bit sooner to let them go by. My favorite passes are when a player pulls up inside of me, but brakes too late going wide, and ends up with a slow corner exit, while I brake a bit sooner, and end up passing on the inside, where their momentum keeps them from blocking me. This works well in turns like the last one at Brands Hatch GP. If I'm being followed closely, I brake a bit sooner and a bit slower, so the other player has time to react and either brake or pass, and if I do get rammed, I can brake harder and still stay on track. If I see a group of cars bunched up, I'll back off a bit and hope that they take each other out and go off track, then try to slip through the carnage before the recover. If they reset, collision is off for about 3 seconds, which helps.
. I also have a big problem with lag. 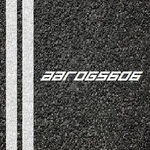 I think it´s my own connection causing this - but it´s really frustrating to be racing online when everybody rams each other, because the car in front is in reality just in front of you - though it looks like it´s a mile away. i know others who say that there is a big issue with lag, and that it´s not just me causing this - but in fact the server. 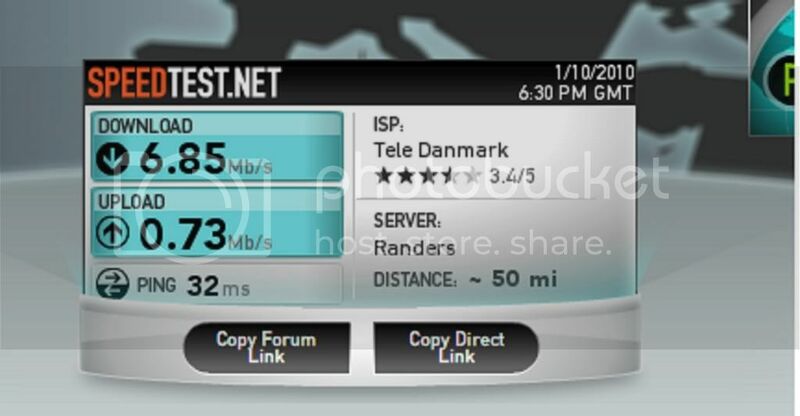 Poul run this Internet speed test and tell me what it says...I know ur in Denmark but try it anyways. Scroll to the bottom right side and run speed test. select New York city. Some one told me the other day if your turn on Stability that cars that rear end you, the stability will cause the rear car to spin out instead of you? don't know if this is true or not. I know what my speed is - its 10MB download and 1MB upload. Testing it on that link you gave me gives me 7982 kbps download and 723 kbps upload, but its supposed to be that speed, despite I pay for a little more. Usually because of overload on the connection. 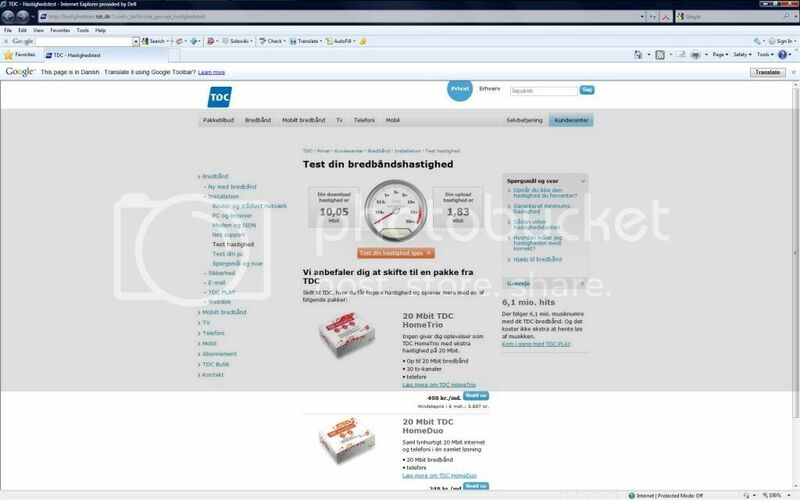 If I test on this site - my suppliers home site located in Denmark I get 8580 kbps and again 723 kbps upload. I think the biggest problem is server lag and not my connection that lags. It never used to do that, but I know that my neighbors are getting TV signal through the same lines I use - it might be that causing my lag. 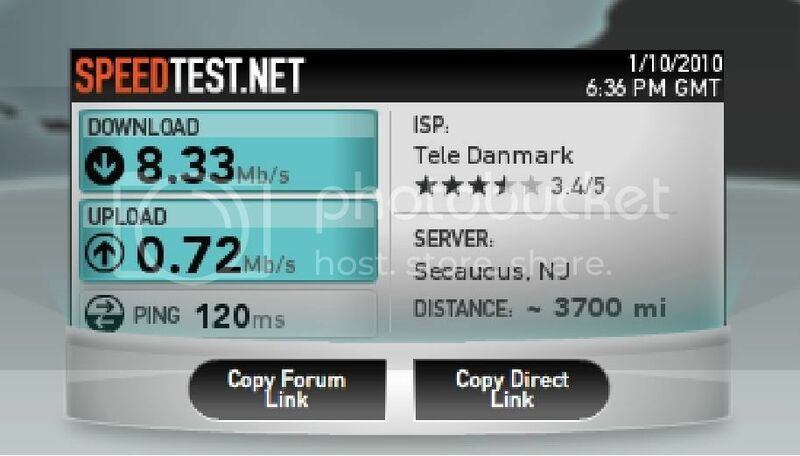 Speed test (test din hastighed) located in Denmark. speeds as you did. and I am 6 time zone away from you. Poul are you using DSL or cable? Why is your speed that much faster testing it on that link you provided compared to the one I linked? It should be almost the same speed no matter where you are located - depending on overheat. I use a ADSL modem - but I can not get fiber which would be so much better. 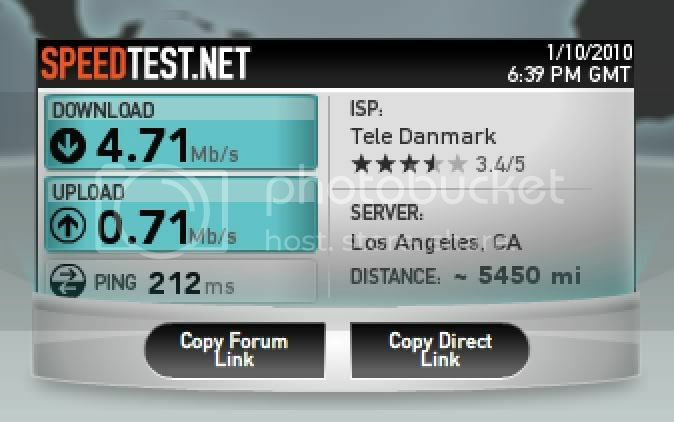 Actually 90% of Denmark has fiber layed in the ground, but the small town where I live did not get it installed before the local fiber company was out of money. It has since been overtaken by another supplier, but there will not be layed more fiber in the ground at the moment. I will get it, when it´s possible. I got 1.73 Mbit/s in and 0.43 Mbit/s out. 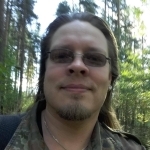 I did a 7.46 download & .38 upload... where is this site Jussi Finland ?? Not sure Poul, I do have cable which should be fiber I assume. Aaron on the other hand has alot faster upload speed than me but slower downloads speed... his upload speed is 3 or 4 times faster than mine..
High transfer rates don't help reduce lag significantly. The amount of data passed in the positional updates between players in a race is relatively small. During a race, the server isn't involved, unless it's monitoring the packets, and the server isn't outputting anything until the race is over. The lag issue is a function of distance and node hops between players. Even this isn't normally that bad between players thousands of miles apart. What makes the lag bad is when the node hop branching results in receiving packets out of order and/or being dropped. This is what causes the cars to get very jumpy. The other issue is NFS Shift does an OK, but not a great job of dealing with lag. 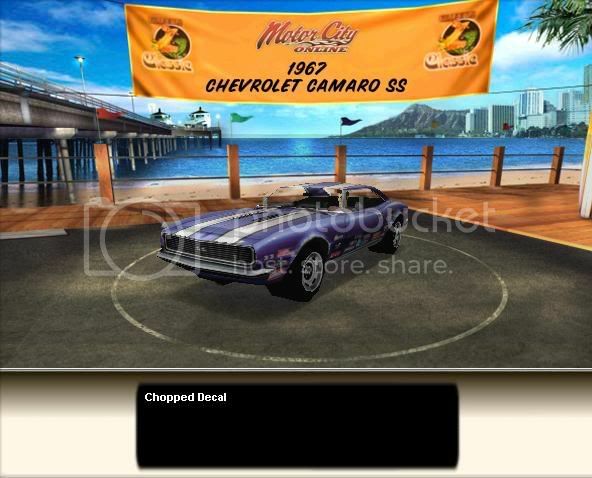 Some racing games have a better prediction algorithm they use to deal with lag, sort of like an AI driver taking over when update packets are lost. In the case of NFS Shift, Donington seems to be the worst track, as somehow the game can get confused and other player cars can appear way off track on the first 1/2 of a lap. The easiest solution for dealing with lag is a collision off option, but only some of the NFS games offer this. If you know the ip address of another player, you can "ping" that ip address to see the delay, and "tracert" to see the number of hops and where the delays are occuring. You can also ping or tracert most urls. Test your ping here and choose your location. As you can see it sure matters where the server is located. As you can see I do not have problems with ping time and it is only because the servers are terrible bad and because of distance that lag is happening online. 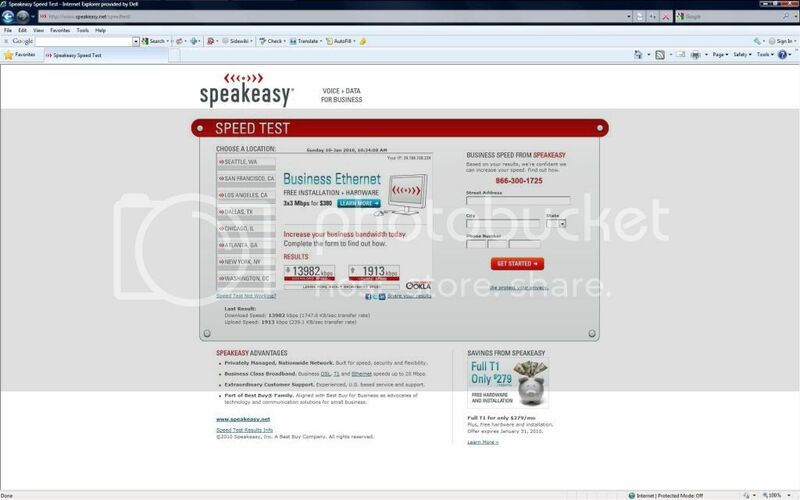 Here is another test to see if any data packets are lost. I had a ping of 25 ms with no packets lost and no jitter - quality A - using a Dansih server. What makes the lag bad is when the node hop branching results in receiving packets out of order and/or being dropped. This is what causes the cars to get very jumpy. Could you re-phrase that in layman's terms..
Hmmmm I thought it was upload speed that affected the lag issue's? Does DSL or Cable make a difference with Internet performance? My internet is pretty fast but i pay alot for it.